Chelsan Derée can control the dead. She lives in a future where the world is overpopulated and a little pill makes you immortal. Where people are secretly being exterminated and serial killers are sanctioned by the government. When Chelsan's mother is killed by one of these exterminations, she vows to take down the man responsible: her grandfather. Only two months have passed since Chelsan fought against her grandparents and won, but a whole new nightmare has arisen. 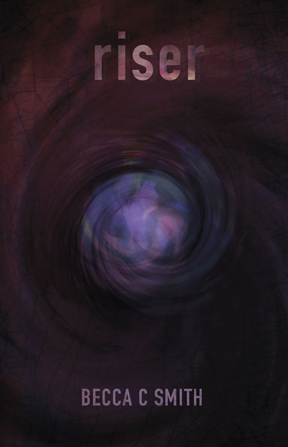 Chelsan discovers a plot so horrifying, so terrifying, that it may destroy the world itself. She will have to learn more about her power to raise and control the dead so she can stop the evil that threatens everything she's ever cared about. Chelsan and her friends are yet again thrown into peril in order to save the world from Elisha’s sinister plans. And Chelsan’s tentative relationship with her grandfather is put to the test as they once again have to work together against a common enemy. Chelsan must defeat Elisha once and for all in the third installment of the bestselling series the Riser Saga. Every four days. Commit one act of atrocity. Keep the balance or the planet dies. ​Thrown into a reality she never could have imagined, Kala Hicks is pitted against the forces of good and evil. She must choose whether to save the world by doing the unthinkable, or sit back and let it burn. And four days later, she’ll have to do it again. ​Just seconds after Kala Hicks had to do the unthinkable, she’s thrown back into a world she didn’t choose and frankly could do without. Attacked on all sides, Kala must battle the Titans now, and Cronus himself wants to take her down. The final installment of The Atlas Series: The Underworld. Kala Hicks finally accepts her role as Atlas only to find out that her next mission is to die. Alexis Tappendorf and her best friend, Olivia Boyd, must face the corrupt and powerful, Theodore Crowe, in order to save Alexis's parents and find the lost city of Atlantis. Shea Harper is forced to stay in boring, hot and dry Phoenix, Arizona for college. But when the enigmatic hall monitor Lucian tries to kill her, Shea’s life changes forever. She finds out that she comes from a long line of descendants called Vessels. In her soul is the key to destroying an ancient prison protecting the world from darkness itself: Lucian’s father. Black Sunrise is the exciting second installment of the Black Moon Saga. When Shea accidentally frees Caelius from his supernatural prison, she trains with Lucian in Paris attempting to master her powers as an elemental in order to face Caelius and save the world from his twisted desires. 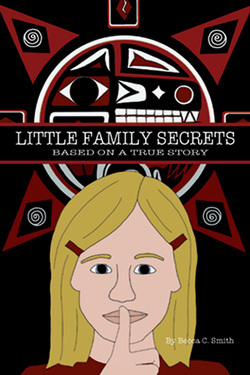 Little Family Secrets is based on the true story of Ruth Neslund, the notorious Pacific Northwest murderer. In the summer of 1980 Ruth shot her husband Rolf Neslund, chopped him into pieces with a butcher knife, and burned his remains in a barrel. The story is told through a seven-year-old child, Cindy, who is closely involved with the events leading up to Rolf's murder. 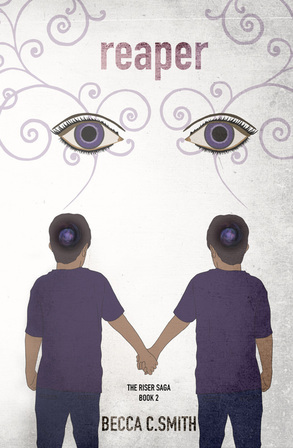 Cindy's turbulent relationship with her troubled aunt casts a shadow over her life at school, her relationships with her neighborhood friends and family, and makes her a potential murder victim herself, when she inadvertently witnesses Ruth's first abortive attempt to kill Rolf. Little Family Secrets is a chilling tale told in a terrifying, dark, and unexpectedly funny way. Helping earthbound spirits cross into The Light is all in a day's work for ghost whisperer Melinda Gordon. But now a ghost claiming to be the Egyptian God Osiris will stop at nothing to create eternal darkness for Melinda and the haunted spirits who so desperately need her special gift.